The iconic Beetle is a "Must have" choice. 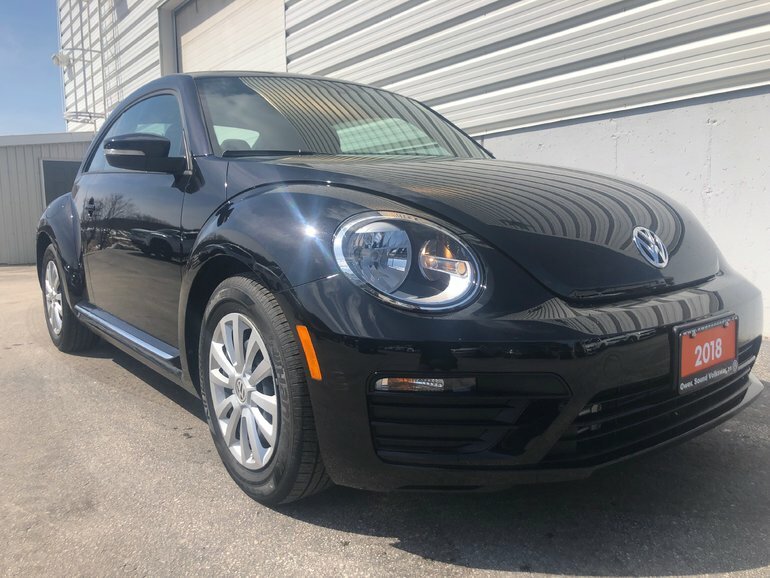 This pristine Black on black Bug has just started to stretch it’s legs at 10,706 km. You’ll be amazed by it’s sportiness, interior space and comfort. This vehicle features; Bluetooth Connection, Back-Up Camera, Stability Control Brake Assist, Air Conditioning, Transmission: 6-Speed Automatic w/Tiptronic -inc: sport mode, Electronic Stability Control (ESC), ABS and Driveline Traction Control, Front-Wheel Drive, Light Tinted Glass, Body-Coloured Door Handles, Window Grid and Roof Mount Diversity Antenna, Trip Computer, , Streaming Audio, Single Stainless Steel Exhaust, Side Impact Beams. You’ll be amazed how much gear you can load through the hatchback with the pass through/fold down rear seats. Sit in the Adjustable Lumbar and Passenger Adjustable Lumbar seats with Heated front seats. 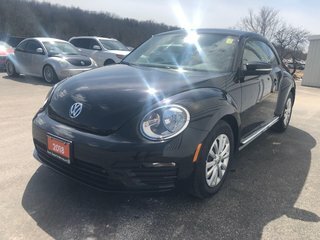 At Owen Sound Volkswagen your satisfaction is at the core of what we do. Our aim is to provide a consultative and honest, no-pressure environment to help you to make the best decision on a new or used Volkswagen, and to feel confident in our technical service. Our facility features the latest diagnostic tools to support you after sales, and our trained technicians have the tools and expert training to serve you well locally. All our vehicles are vigorously tested during our 112-point inspection and come with an approved vehicle history report from CarFax®. For further peace of mind, we offer financing, VWPP Prepaid maintenance program and an extensive extended warranty programs. Interested? Need more information or a test drive? Contact our Internet sales team by clicking here, call us at 519 372 2020, or come on in ! Owen Volkswagen is located 2 hours from the airport at 202444 Highway 21, on the Sunset Strip just past McDonalds. Weekly payment is based on financing over 84 months at 6.99%, on approved credit. 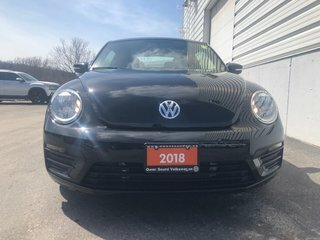 Interested by the 2018 Volkswagen The Beetle Trendline 2.0T - $66 WEEKLY +HST OAC* Last of the Beetles ?